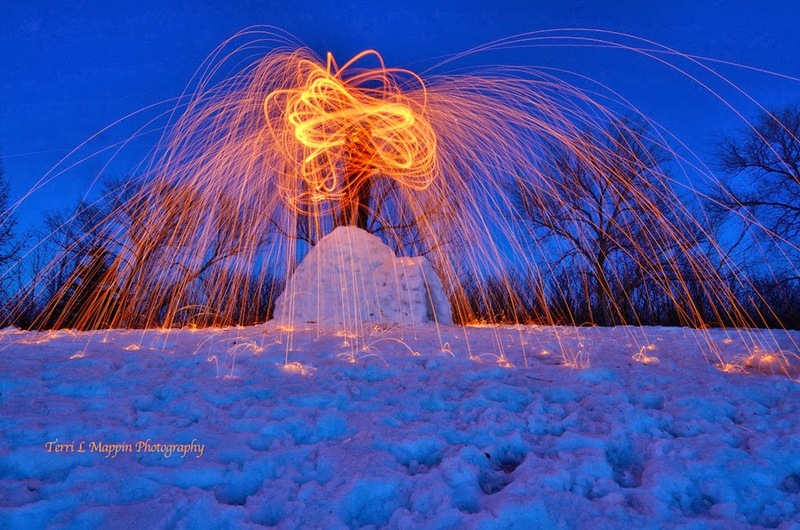 Painting with some steel wool light tonight! 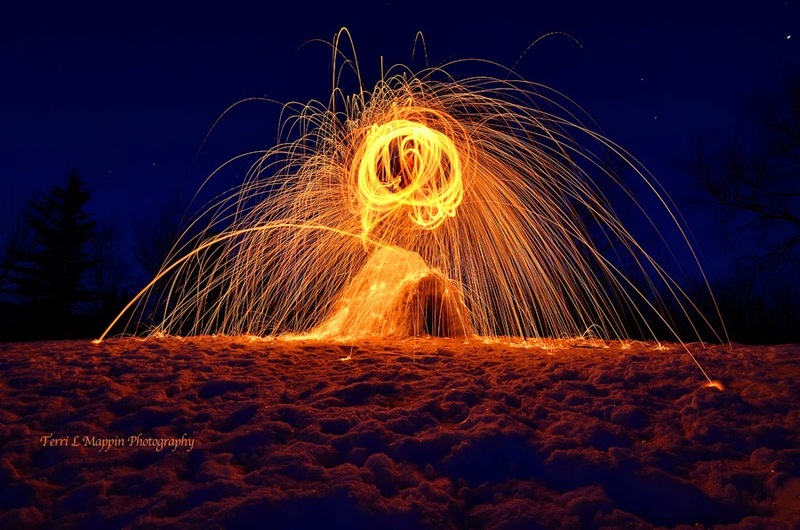 Wow, great effect - and now I like to see a nice firework! Thank you Barbara ... its a fun effect to create! These are awesome. I love the blue/orange contrast. Thanks Matt! 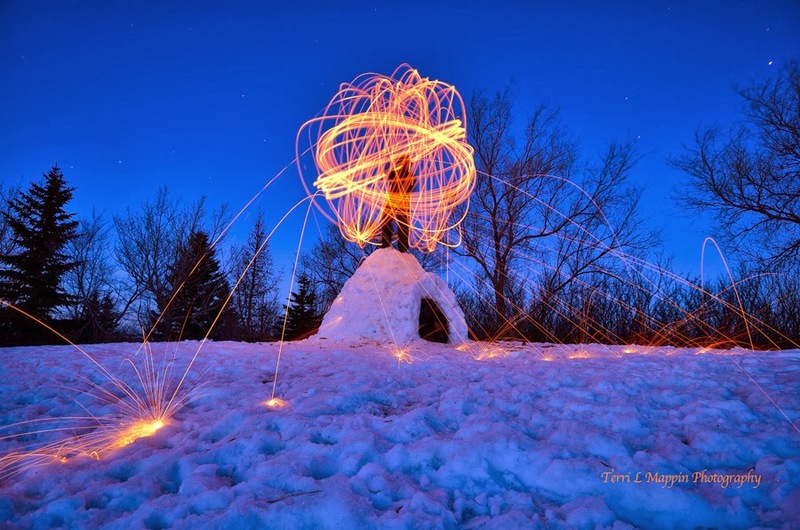 Just don't 'almost' slip off a frozen igloo and conk yourself in the head with sparking steel wool! Mmm ... the smell of burned hair! UGH! LOL!